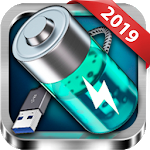 Super Battery Life - Repair, Doctor & Extender is a profesional free battery repairing and saver app. 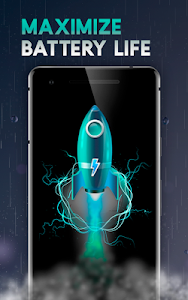 Save your battery life and protect battery health using our app to stop power draining apps. 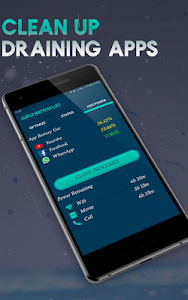 Super Battery Life is a complete energy extender app with Energy Optimizer, Power Drainage and Battery Cooler. Improve and optimize your battery with our advanced reparator and calibrator tool. One tap stops power-draining apps processes. 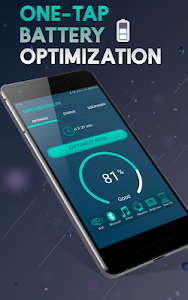 Analyzes battery status and improve battery up to 90%. Discover how long your battery life last depends on different factors (Using Wifi, Playing videos, Making phone calls, etc.). See your device battery status and usage. Quick access to power system features, such as WiFi, Bluetooth, Brightness Control, Sound mode, Vibration mode, Time out and more. 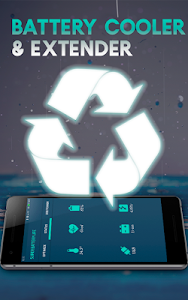 Kills background app processes and extend your battery life. Monitor charging status showing information of your battery: Voltage, Temperature, Charging time, Battery level and Charging status. 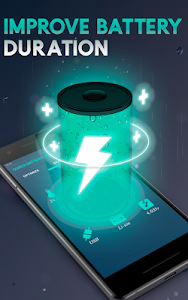 Battery Cooler detect phone temperature, disables heat-producing apps to cool down your battery. - One tap Save Power kills tasks, Repair and Calibration! - Supported languages: English, German, Spanish, Russian, Portuguese and Arab. - Root and NO ROOT devices. - Displays hidden information of your battery as: Health, Technology, State, Voltage, Temperature, Charge and Type of charge. - Quick functions: WiFi, Bluetooth, Brightness control, Sound mode, Vibration mode and Time out. - Beautiful interface applying material design. - Device detector to adjust savings levels. Similar to "Super Battery Life - Repair, Doctor & Extender"